This CD was itroduced in 2002 and it is my only recording. I am in the process of producing another one, but it is not ready yet. I am amazed and a little envious of these artists who seem to be able to come up with a new CD every year. I have not yet reached that goal. This recording was produced at DV studios in Shorewood, WI. 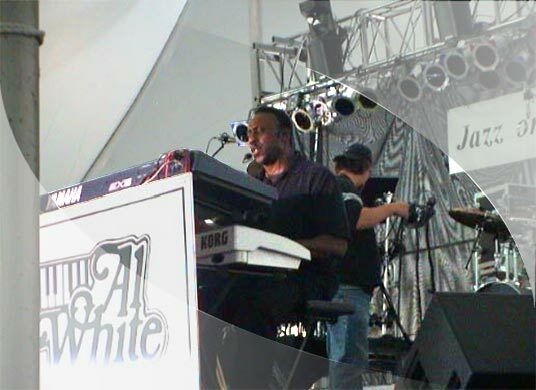 It has Mike Soiney on guitar, Eric Harvey on bass, Warren Wreigratdz on saz and flute, Mike Murphy on percussion, Jim Liban on harmonica and Eddie Butts on drums.The backup vocals feature Sue Sadjac and Sharon Schmidt. It was a great learning experience producing this CD. I hope that my next project turns out even better. You can check out a sample of these songs on this CD by going to the AUDIO FILES section. I hope that you will enjoy this. 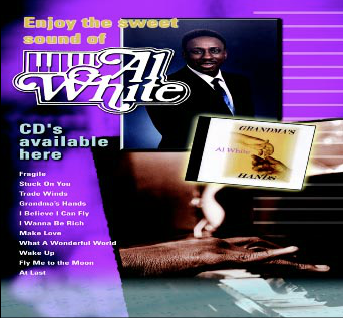 To purchase my CD you can contact me by phone at 414-325-6465 or by email alwhite@alwhite.net.